Invisalign is the revolutionary new introduction to the world of cosmetic dentistry. With Invisalign you do not need to worry about wires and braces anymore, as you have a set of soft aligners to give your teeth the shape and smile you deserve. Invisalign are clear aligners made with cutting-edge technology and using SmartTrack material that helps correct your teeth structure and improve your smile and dental hygiene. It’s ease of use and history of providing quick and effective results have made it a popular go-to treatment for many seeking teeth correction procedures. Our Invisalign Miami team will design your treatment to treat quite a few teeth structure issues that could otherwise lead to severe dental problems. Below are some of the cases that Invisalign treatment can help correct. These occur when your jaw does not have enough space to house all the teeth. The teeth then start overlapping due to space constraints. 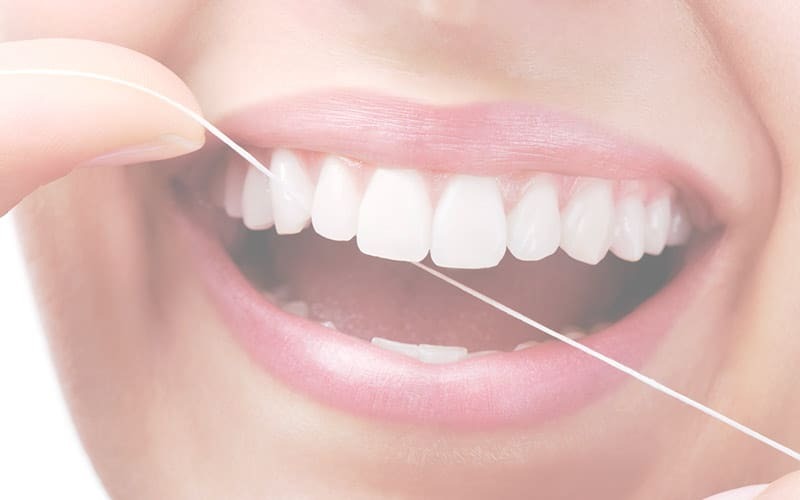 This overlapping can cause teeth to move forward and backward and stand in a zig-zag formation which might make it difficult to brush or floss them properly, leading to tooth decay and in some cases, gum disease, as well. Overbite occurs when your upper front teeth cover a portion of your lower front teeth. Most people have overbite to a certain degree which can be considered normal. However, severe overbite may lead to pain in the jaws and cause your teeth to wear down over a longer period of time. Dentists often measure the overbite using percentage. If your overbite lies between 5% to 25%, then it’s considered normal, anywhere above or below the said range needs to be treated and corrected. Underbite occurs when your lower jaw juts out in a way that your lower front teeth cover the upper front teeth. Underbites can make it difficult for you to chew your food properly or in some cases it might affect your speech, as well. In the long term, underbites can lead your teeth to wear down rather quickly. This occurs when some of your upper front teeth are sitting behind your lower front teeth, giving your teeth setting an uneven (zig-zag) look. Just like overbites and underbites, crossbite can cause your teeth to wear down quickly and also cause your gums to recede, earlier than they should. This can lead to gum problems, bone loss, and further dental complications. Gap teeth is not an uncommon condition. It is typically identified by the visible extra space between two or more teeth. The space can lead to food getting stuck in these areas causing the gum to get tender and sore. Aligning the teeth by removing the gap between them can help keep gum issues at bay. Open bite occurs when your upper and lower teeth don’t come in contact with each other when you close your mouth. This can make chewing common foods and fruits a rather difficult task. HOW DOES IT WORK AND HOW ARE THEY MADE? Invisalign is made of SmartTrack material which is not your usual off-shelf plastic. The custom aligners are made using intelligent technology combined with the expertise of your dentist that leads to a smart dental plan which could be as little as 3 months (depending on the teeth condition) to help correct the alignment of your teeth. You will be expected to visit your dentist every 6-8 weeks to check the progress and also get your new set of aligners. Over a period of time, the easy to wear and comfortably fitting aligners work towards aligning your teeth to the smile your dentist predicted you would have, post Invisalign treatment. Your Invisalign will be completely customized to ensure a 100% fit and comfort, right from the fit on your gum line to the pressure on your teeth. Your dentist will use an iTeroElement Scanner to scan your teeth that will show you what your teeth structure looks like now. Using a 3D image, Dr. Lopez will then use the same image to show you how Invisalign will help correct your teeth structure and give you the smile you deserve. The Invisalign technology does not require any painful teeth molds, all detail can be captured using a simple scanner. The 3D image is then used to create custom clear aligners for you, using SmartTrack materials that ensure perfect fit. Unlike traditional braces, Invisalign is easy to remove and apply and that makes it an easy dental solution to incorporate in your daily life. With Invisalign, you can continue eating your favorite foods and playing your favorite sports without having to worry about pain and injury from your aligners. With no wires and brackets that threaten injury, you can expect fewer emergency visits. Your clear aligners also sit extremely well along your gum line, as they are custom trimmed, ensuring people don’t even notice them. Make sure you remove your aligners before eating and drinking and then slide them right back in. You can gently brush your aligners before retiring for the day and also make sure you brush and floss your teeth, twice every day, after removing your aligners. To ensure best results, it is advisable to keep wearing the clear aligners between 20-22 hours every day, during the period of treatment. You will be wearing each set of aligners for approximately 1-2 weeks, post which Dr. Lopez or Dr. Vasquez will you give you your next set of aligners. Upon wearing your aligners for the first time, you may feel a slight pressure and discomfort, which is totally normal given the reason why the aligners are there in the first place. They are designed to apply a certain pressure and keep reshaping the teeth, till they take up the right shape. Invisalign is easy to use and fit well with your daily life and activities. Consult our Invisalign Miami team today to find out how Invisalign can help you.